My ol’ EK wagon is a far cry from a trophy winner. Hell it takes the shine out of the words ‘show and shine’. However the beauty of it is that I spend more time driving it than I do fixing it or polishing it, and to me that’s worth more than any $5 plastic trophy. With the fold down back seat and fold up tailgate, she’s also super handy for hauling stuff around when I need to. I’ve only ever owned one normal sedan, the practicality and usefulness of a wagon just can’t be beat. How the hell do you people with sedans manage? haha. Anyway here’s some random pics showing the EK earning her keep. 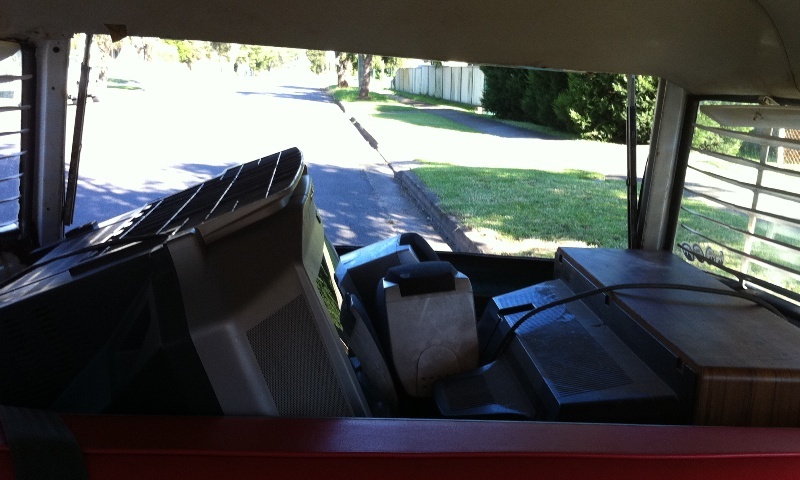 Here I am taking some old TVs to a local e-waste collection day held by the local council. These things will be pulled apart into their individual components and recycled, much better than clogging up landfill. Did you know that they’ll recycle about 98% of one of these? And finally they’re not taking up space in the spare room! I also picked up some very old school canvas girl guide tents. 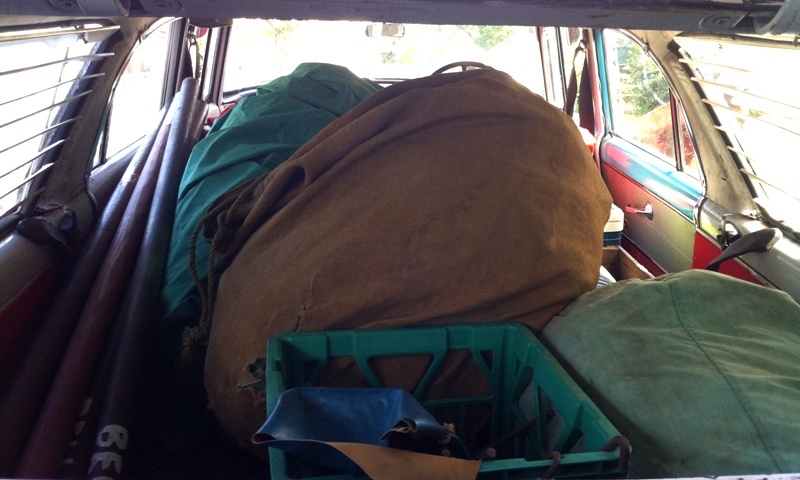 As you can see, 3 tents take up the entire rear area with the back seat folded down, and they were heavy as! You know it’s an old tent when the tent poles are timber and about 60mm diameter (that’s them to the left). Love the smell of old Canvas!! I’m with you Hewey re wagons but my wife grew up with them and thinks they’re “daggy”.